DJ Ash created Heimataerde to merge electronic dancefloor beats and soft, often archaically instrumented melodies. A decent addition to the music world, the band released an EP in 2004, “Ich Hab Die Nacht Getraeumet”, which contained five tracks, including two versions of the title track. In 2005, Heimataerde was signed by Metropolis Records, and their album, “Gotteskrieger”, was released by the label in April. The album is state of the art harsh EBM/industrial with beats designed to take the underground dance floors by storm. While musically Heimataerde is much in the vein of legendary dark EBM acts like older Wumpscut and Suicide Commando, the music does have its own unique identity, and a modern, up to date sound. With tracks like "Gib Mir" and "Ich Hab Die Nacht Getraeumet" already taking over the dance floors all over the world, Heimataerde has already laid the groundwork for its club invasion. In August 2006, the next album, “Kadavergehorsam” was released and ties seamlessly into prior works. In 2008, “Leben geben Leben nehmen” album was released. As of Late September 2009, comes out "Unwesen”. Band signs the contract with Out Of Line and “Gottgleich” appears in 2012. MCD “Bruderschaft” comes in 2014 and it is followed by “Kaltwaerts” album. 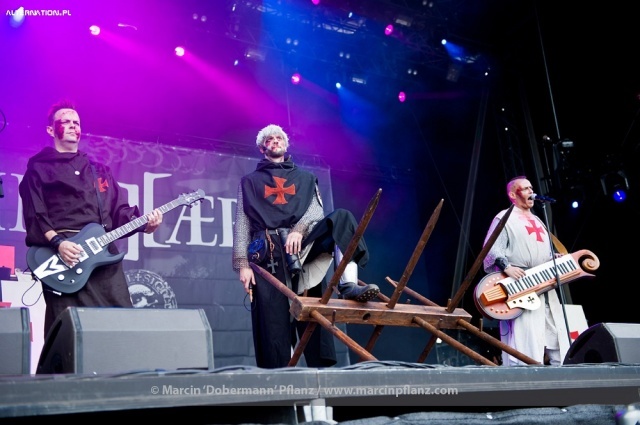 A dark mixture of harsh electro and medieval instruments such as bagpipes and cymbals gained a lot of attention for Heimataerde in their short time of existence. 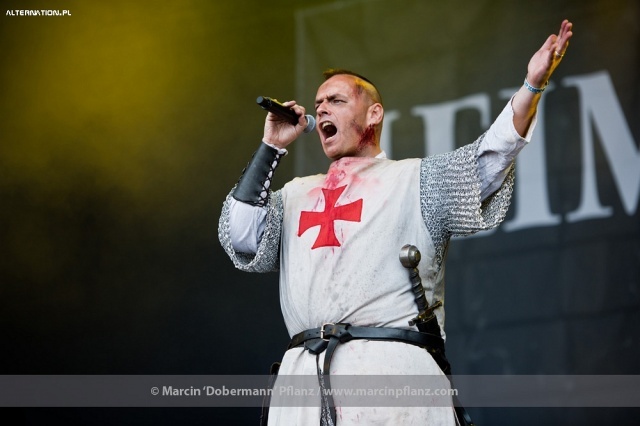 To get a catchy synonym for the music of Heimataerde the media created a new musical style entitled medieval/electro. Obviously the world of Heimataerde does not cover normal medieval life with impostor but a dark scenery of the cruel crusaders life. Heimataerde recruit undeads, templar knights and fanatics showing no fear to cause fright and death to reach their goal in the name of god. The storyteller Ashlar von Megalon an eternal wanderer and vampire leads you through all this scenery always in search of answers and hidden truth.